Ah, the crisp crunch of a just ripe Kentish apple or pear, warmed by long days of sun on the Wealden hillside. The perfect combination of sweetness and tangy tartness as the delicate, yet distinctive, flavours hit your tastebuds. Close your eyes, and taste never-ending summer afternoons playing in the orchards, far away from the stresses of everyday life. Can you bottle that? We think we have. grown and hand-picked on the Nightingale family farm in the Weald of Kent. We use traditional wild fermentation techniques, and don’t mess about with additives. All our cider and perry is made from fresh apple or pear juice: no concentrates. 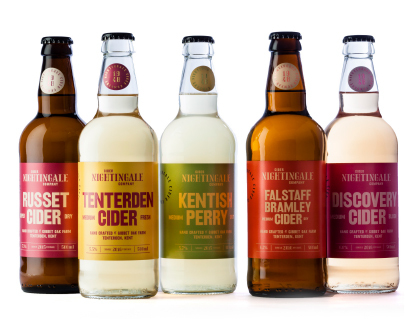 Order a case of your favourite cider or perry, or choose a mixed case and discover new flavours. We think you’ll love all of them as much as we do. 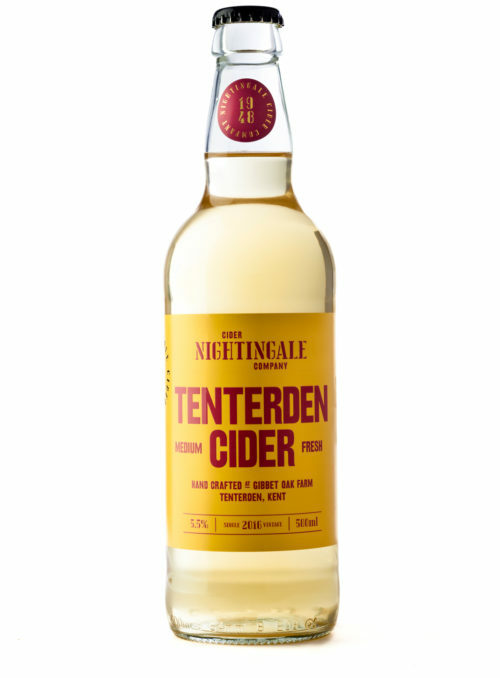 Tenterden cider celebrates the connection between our orchards and hometown in the Weald of Kent. A beautifully balanced, bright and floral medium still cider. A wild fermented minimal intervention cider, which is matured for a minimum of 6 months before release. The Discovery apple is the first to mature and be picked in the autumn. 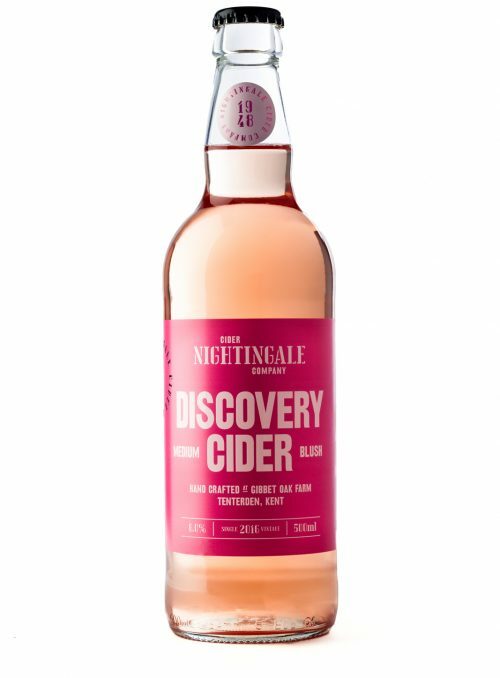 With the nose and flavour of this early variety, our Discovery blend is a medium fruity cider with a delicate rosé blush. A wild fermented minimal intervention cider, which is matured for a minimum of 6 months before release. 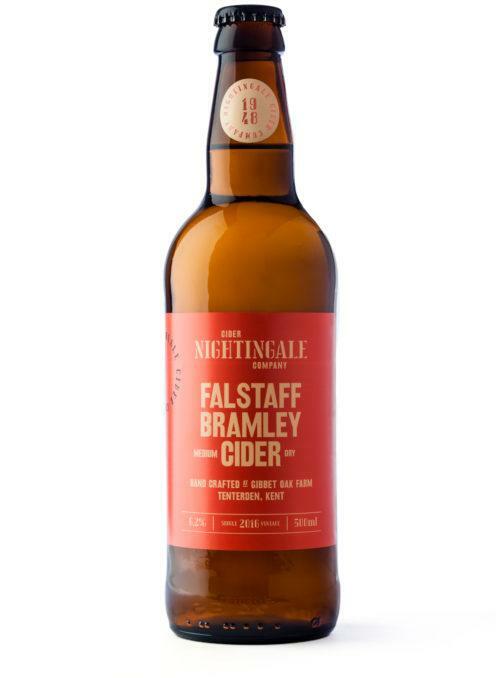 Falstaff Bramley is our classic Kentish cider, a refreshing and crisp blend with balanced acidity that shows off the Falstaff and Bramley apples. Our single variety Russet cider is a strong, complex and nutty dry cider, which captures the minerality of the Wealden soil, and is aged before release. A floral and delicate medium dry still perry made from Kentish dessert pears with a touch of Bramley apples to balance acidity. This is a mixed case of your favourite Nightingale Ciders. If you would like to specify the exact ciders, please email up once your order is complete. You must be at least 18 years old to purchase cider.